Northern Michigan University BSW Interns Melissa Rife and Lauren Munson coordinated the 2018 Homeless Point in Time count at the Janzen House this week with the assistance of over 30 volunteers from the Marquette area. Starting a midnight on Jan 31st through midnight February 1st, teams of trained counters were dispatched every 2 hours to identify the number of individuals and families who are experiencing homelessness in our communities. Melissa and Lauren actually ran this for 24 straight hours. We would like to acknowledge their fine performance this year, and thank all of volunteers who braved the elements over the course of the night and day to acquire this information. 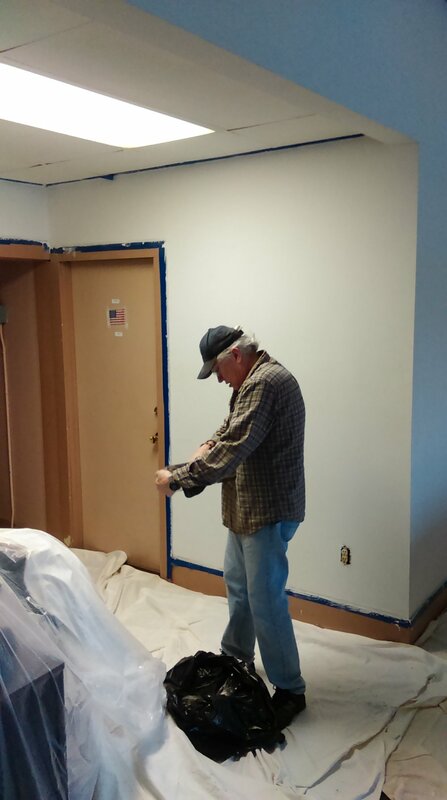 Starting on painting the Lobby at the Janzen House today. Mick is finishing up the plaster and about to open up a 5 gallon bucket of Pittsburgh "Sunbeam." 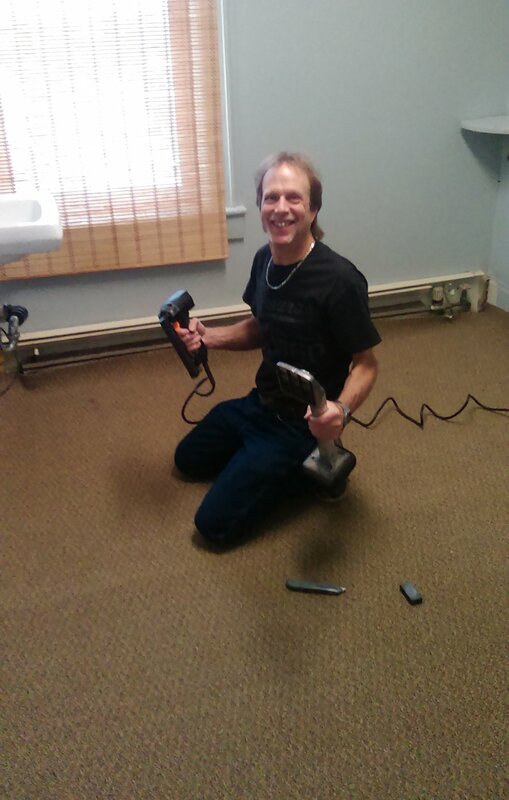 Night Manager Lowell Miller, who just happened to be a pro carpet installer in a former life, installing new carpet in the Janzen House "ER" Shelter Room. Shout out to McCabes Carpet for giving us a great discount. Thanks. 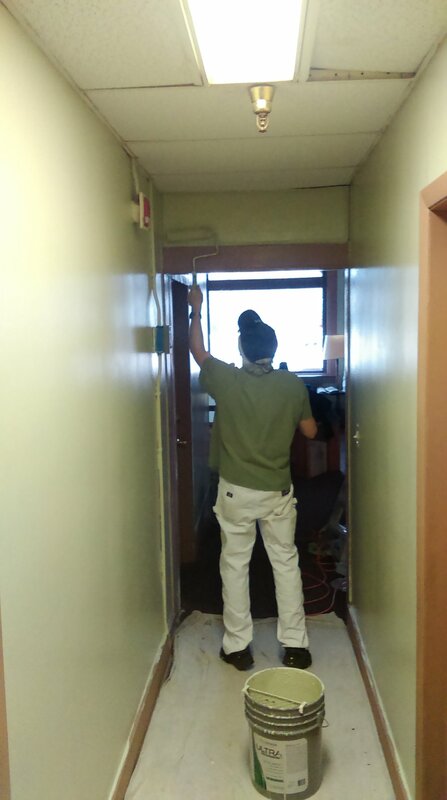 Janzen Night Manager Lowell Miller stripping off old plaster from the basement hallway. The base of the wall was damaged in the flood--we are using this as an opportunity to restore the entire wall. Very Dusty!! !